The JT Jeep Concept Truck! 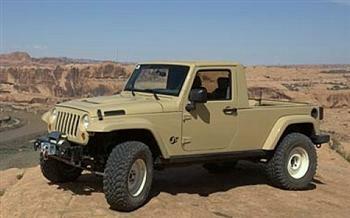 Another stinking Jeep Concept Truck? We don't need no more stinking Jeep concept trucks! What we do need is for Chrysler/Jeep to stop teasing us (Jeep Lovers) with another cool pickup in concept form without producing it for public consumption. We remember the 2005 unveiling of the Jeep Gladiator Concept pickup which looked awesome, so ...ummmm!...where can one go to buy that little jewel? Nowhere...that's where...because it only existed in prototype form. What was that all about anyway? Chrysler/Jeep then came up with the JT (Jeep Truck) concept which was merely a modified version of the already successful Jeep Wrangler Unlimited with a pickup bed and bigger tires, wheels and 3 inch lift kit. The bed is only 5 ft. long and not very deep which is reminiscent of the original Willys Jeep trucks of the late 1940's and 1950's. 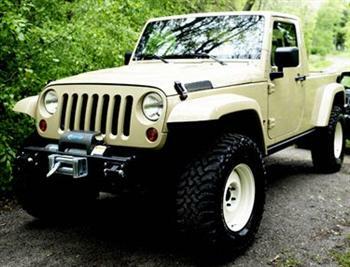 Most of the parts of the JT Jeep pickup were off-the-shelf Chrysler/Jeep parts shared with other Wrangler models including the J8 MPV military Jeep. However, a removable top and the rear bulkhead appeared to be original creations. better yet...do like the Chevy Avalanche or Honda Ridgeline did and make the Wrangler Unlimited a "Transformer" type vehicle with options to be arranged as a 4-door, 2-door, convertible, soft-top, hard top, half-top, and....even (lo and behold) a pickup! I suppose if I were so smart Chrysler/Jeep's R & D (Research and Development) and Marketing departments would be banging down my door to sign me up as their chief...CEO of Wonderful Ideas..or something like that. Okay, I never said I know everything there is to know about Jeeps, but I do know a good thing when I see it. I have one of the last factory Jeep pickup designs ever produced...the Comanche ...which I dearly love. 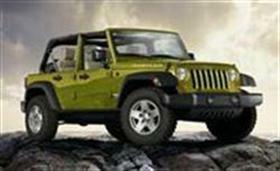 The last Jeep pickups were discontinued in 1992, and I say that over 20 years is long enough! 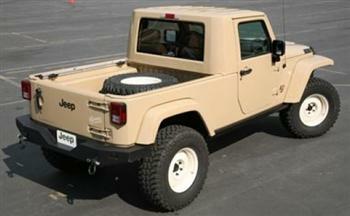 Since 1992 several Jeep concept truck designs have been presented...but never put into production. It has been said that the Dodge Dakota pickup which was also available in 4-wheel drive was one reason why Chrysler/Jeep was so reluctant to put a Jeep branded pickup back on the market...reasoning that the two would be in direct competition with each other. The "Jeep mystique" is built upon the huge and extremely loyal following of Jeep lovers and enthusiasts all over the world. Make it tough...make it rugged...keep it simple...make it look like a Jeep...and slap the Jeep emblem on it...and they will buy it. So stop with the Jeep "concept" truck parade already, and give them a shot on the open market. The JT Jeep concept truck was one of many concept Jeeps introduced over the years...click here to see other Jeep concept vehicles! One thing is for certain. If Chrysler/Jeep stays with the Jeep tradition of producing great unique multipurpose vehicles...they can't go wrong. After all...the Jeep brand has endured for over 70 years by being the maker of the most recognizable, identifiable and versatile machines...EVER! that could be really scary. The Brute kit truck from American Expedition Vehicles (AEV). 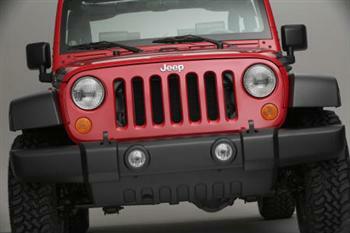 AEV provides do-it-yourself conversion kits for your Jeep TJ, JK and Unlimited. They or one of their dealers will also build your pickup conversion to various degrees of completion for you.